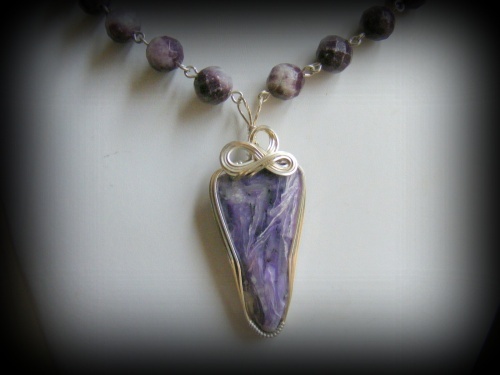 This pretty necklace has a pretty Russian Charoite gemstone focal pendant which is framed with sterling silver curls and, the neck part is made of Cape Amethyst gemstones. Piece measures 19" long and has a locking box clasp for safety. Comes with matching earrings.